Businesses have always attempted to recruit the best talent. That’s because the estimated financial gain of hiring a top performer is 10-100x the employee’s compensation, which translates into significant value to a company’s revenue each year that the company retains that employee. And according to a recent Accenture survey of over 1,000 senior executives, retaining and developing skilled talent is a primary concern. In a study conducted by The Bridge Group, recruiting and hiring was one of the top three challenges cited by sales manager. The relevant question today is, how do I recruit and retain top talent? 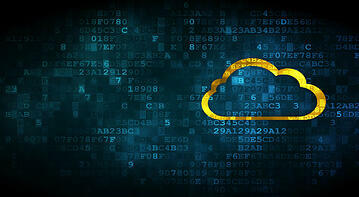 Many businesses are embracing cloud technology to do exactly that. Cloud based software solutions are allowing businesses to provide flexible working environments. By providing agile and adaptable work environments, companies can better appeal to a wide variety of talent. Not only does cloud computing reduce the costs and resources once associated with building infrastructure, it also builds on a growing trend towards mobility and flexibility in the workplace. As the internet becomes the business infrastructure, organizations can improve the way they attract and hire quality talent. When it comes to the war for talent, recruiters face a complex and dynamic work pool that is often on the move. Sales is becoming increasingly globalized, but the need for specialized skills remains. Businesses who invest in cloud computing are positioning themselves to be more flexible and responsive to both shifts in business and the workforce. For example, resources like cloud based call center software are transforming the way sales are conducted. Call centers in the cloud allow employees to login remotely and begin making calls that are delivered through the cloud. With a built-in CRM and tools like intelligent call routing, predictive dialing, skills-based routing and call recording, sales can be professionally conducted from an employee's home office. The trend in sales towards cloud computing is noticeable as many sales organizations have transitioned from a field sales model to an inside sales (sales in the cloud) model, focusing on transactional engagement and opening engagement opportunities with potential customers. Having the majority of employees connected to a cloud based platform allows them to work individually as long as there is internet access, eliminating the restrictions that may be imposed by a physical office space. When considering a new job, candidates find locational flexibility to be a strong motivating factor, meaning businesses can appeal to a wider variety of candidates. For many businesses, recruiting young workers is a primary interest. However, the younger generation often brings a distinct set of expectations to the workplace when it comes to development, rewards, and the use of technology in the workplace. As the push for talent drives hiring techniques, employees will have to adapt their strategies to meet employees’ evolving expectations. That may mean adapting to a more individualized and flexible approach to work. Work software based in cloud computing offers a younger, more tech hungry workforce the opportunity for individual choice while improving opportunities for collaboration and clarity. According to a 2013 Harvard Business Review survey of 100 vice presidents of sales, 84% of those polled believed it was easier to bring new employees on board and share best practices through cloud based sales, and 67% thought that cloud based sales provided an improved strategy. Many in the younger workforce realize the power of cloud technology and want to see it applied to their work environment. The appeal of cloud-based software is not just appealing for new hires, but for the business as well. Businesses that are poised for future success and resilience in the digital age will find strong appeal among a young workforce. With widening skill gaps, businesses will need to quickly access critical skills on demand, when and where they’re needed. In the age of ‘digital HR’, companies will need to change the way they approach talent, and realize the benefits of having employees beyond state or national boundaries. Finding experienced workers in a variety of locations and time zones can actually be beneficial, fitting employee expectations while also bolstering a widespread employee network. Within the past two years, roughly 61% of companies report that most of their employees use personal computing devices at work, and often, that work is not in a traditional office space. Taking to the cloud allows many businesses using call center software or other cloud-based systems to embrace the personal computing device trend, making the internet the infrastructure and the personal computer the office. Businesses will need to adapt to a more global workforce, pairing talent with specific tasks in various locations. How are we taking advantage of newer technologies to connect with talent? Are we leveraging the resources available to us to remain viable in a changing marketplace? How might we expect new technologies to shape the future of our industry, and our business? Today, organizations have to be innovative in order to find and retain top talent. Using smart cloud-based software solutions, businesses of all sizes can get the same talent sourcing advantages that large organizations enjoy, ultimately earning a higher return from your recruiting efforts.